by Tommy Goudge (November 28, 2017) – Ohsweken, Ontario – Ohsweken Speedway will be holding rules and registration meetings for all four of the track’s weekly Friday night racing divisions on Sunday, December 17 at the Iroquois Lacrosse Arena located at 3201 Second Line in Hagersville, Ontario. Ohsweken Speedway officials do not anticipate any major rule changes for 2018, but teams are welcome to bring their questions or concerns to this optional rules discussion. Grandstand Season Passes, Pit Memberships, and Season Pit Passes for the 2018 Ohsweken Speedway season will be available for purchase at the meetings, and make great Christmas gifts for the racer or fan in your family – All prices will stay the same as 2017! Schedules and other plans for the 2018 Ohsweken Speedway season are well underway, with the 2018 schedule slated to be officially released early in the new year. Weekly Friday night racing action is again on tap for Ohsweken’s 23rd season, featuring the Kool Kidz-Corr/Pak 360 Sprint Cars, Strickland’s GMC Crate Sprint Cars, Middleport Mechanical Thunder Stocks, HRW Automotive Mini Stocks, and more. Stay tuned to www.OhswekenSpeedway.com for more information. About Ohsweken Speedway: Founded in 1996, Ohsweken Speedway is a motorsports complex which includes a 3/8 (0.375) mile clay oval track. The facility is owned by the Styres family, and located in the village of Ohsweken, Ontario, Canada. Ohsweken’s weekly Friday night racing program runs from May to September each year, featuring 360 Sprint Cars, Crate Sprint Cars, Thunder Stocks, Mini Stocks, and more, while the season finishes each year with the annual Canadian Sprint Car Nationals. Ohsweken Speedway also hosts weekly Micro Sprint racing on Thursday nights, and has been a yearly stop on the World of Outlaws Sprint Car Series schedule since 2007. 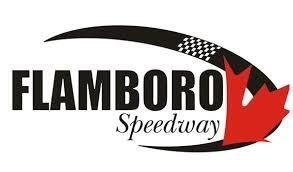 Ohsweken Speedway thanks the following partners for their support in 2017: Arrow Express, Kool Kidz Ice & Water, Corr/Pak Merchandising, Renway Energy, Case IH-O’Neil’s Farm Equipment, Hoosier Tire Canada, EPIC Racewear, McDonald’s Restaurants of Paris & Brantford, Ackland Insurance, Strickland’s GMC, Lucas Oil, Burger Barn, Pinty’s Delicious Foods, Creative Edge Signs & Graphics, Insta-Insulation, Middleport Mechanical, HRW Automotive, and Gale’s Auto Aftermarket. TICKET RENEWALS FOR WORLD OF OUTLAWS & CANADIAN SPRINT CAR NATIONALS END DECEMBER 8!